Who's gonna mine your BTC clone Daitokuji? Bitcoin and cryptos as a hedge against inflation or central banks never made any sense to me. You know bitcoin is open source, right? So an infinite number of bitcoins can be created. And all those bitcoins can be forked an unlimited number of times. And for the next 20+ years bitcoin will be an inflationary currency. +1800 or so are added to the supply a day until the next milestone is hit. Gold and precious metals make a million times more sense than crypto. I guess after the precious metals bubble burst all the anti-fed people moved from gold to crypto? It makes especially sense when you look at some graphs and statistics of which millennials and later generations would like to invest. More trust Bitcoin than any other possible investment. Why is that so? And i can’t blame those generations on their view, as many possible investments were on the rise for 10+ years again without a proper „crash“ or „correction“ and things are already stagnating. Going forward, you‘ll have to go with the stream and time. It's not meaningless. Why would you think that big companies would work on something where they don't see a gain for themselves? It's ridiculous just to think a second like that. Gold doesn't keep you warm, neither does it feed you. The worth is made up because of limited supply only and because people/governments decided its worth and that its a legit back up/reserve for countries. Just to later raise its worth to make the country rich again and devaluing usd. Why would you panic on a literally or nearly official/accepted new form of currency or backup/store of value that has such a small marketcap is beyond me. But the panic will be good for people that will smell their chance here. I could see governments or banks buying for pennies and then declare a higher worth to it. Call me crazy, but a financial crisis is inevitable and i could see governments pulling something like this to increase the worth of your own country again, thus devaluing currency again. They never declared Bitcoin illegal and someone might think about why. Sometimes business investments don’t work out. I assure you, the large businesses like IBM can afford to lose the money they invested in crypto — it almost certainly came out of their exploratory R&D budgets — they assume many of those investments will fail. They aren’t depending on it for their future success. And it’s also worth thinking about how they’re investing in crypto. Are they putting most of their crypto investment money into owning coins like you because they think the price of coins will go up? Or are they investing more into finding uses for blockchain as a tech? Maybe it recovers. Maybe it never recovers. Maybe crypto has a cycle (how robust is that cycle? How many times has it actually followed the cycle? Are the things that made it follow that cycle in the past still the same now? ), maybe things have changed and the cycle is broken. There’s no natural law that says once crypto is invented, it’s here forever. Crypto was supposed to be a currency. It’s still not being used as a currency. Expectations are different and crypto coins are still almost entirely a speculative asset, so it’s not unrealistic to expect outcomes to be different. Nobody has a crystal ball but sometimes assets do fall to zero or a new lower normal and there’s always people holding bags, confident it’ll recover. Yo, hold on about Gold. Gold doesn't corrode, easily identifiable, easily manipulated, easily stored, easily counted. It's near indestructible, practically harmless to human body, fire only melt it, cold doesn't effect it, it's doesn't disintegrate when buried, or dissolved when submerged, yet it can be malleable enough to stretch into paper thin. It's abundant enough to be distributed, but rare enough to not be overproduced. That's its intrinsic value. It's one of a kind. Yo, that‘s cool and all, but wouldn’t help you either if no one would be interested in Gold anymore. There are a lot of other metals falling into these strengths too. We could also talk about Diamonds and their strengths and weaknesses. Still, the interest in Gold is falling, as generations don‘t look into Gold as the standard anymore. Related to Bitcoin, should i talk about Bitcoins strengths now? Because if, it would make a lot more sense as a store of value as Gold, as it’s easier to transport wealth with it, and there will never be a chance to produce more later on. What if we find a planet full of Gold or someone finds a way to produce it? What if we want to go beyond earth and transport wealth? Will we use important rocket space to transfer Gold forth and back if something happens? I can tell you it won‘t be Gold that we will use in the future, even though that doesn‘t necessarily mean it’s Bitcoin either. Diamond is one of the most fragile things out there. It's hard but brittle, heat will vaporize it, it's extremely abundant and not at all rare. Its most useful intrinsic value is industrial. And that's why no country put them in a vault. That‘s the point, doesn‘t need to be like Gold to be valuable. Don‘t get me wrong, i like Gold a lot. But it being used for medical reasons would be far more important than as a store of value. I'm saying the very property of Gold being indestructible is the reason it's valuable. The value attached came from the fact. Bakkt has been delayed till January next year. I was just about to say. Brutal. Don't worry guys. Flash will carry us to back to the promised land. I say we bounce up to 6k in the next 2 weeks. Just a hunch. Gonna buy a few million AudioCoin, to DCA my bags..
Jeeebus, what is Veros lol. And of course only on one exchange, not shady at all. Just reposting this from September 15. The BTC 6k breakdown happened in 2018 as called above. Some people think we could see a little bounce to 5.7-5.8k now, but I don't even think that is terribly likely given how this move played out. It's possible however. My new medium-term projection is for BTC to settle somewhere in the 4.2-4.8k range. A sharp move to that region has a decent probability to be followed by a bounce back to around 5.5k before returning to the 4k's, where it may go sideways for months, or continue falling through to 3k. I am considering starting to buy some ETH when BTC hits around 4.5k, and will buy more if it keeps dropping before bouncing, to sell again in the 5k's, before then waiting for the 3k range or lower. It might take as long as until next Spring or Summer to see 3k. All prices are in USD on Coinbase Pro. Trade at your own risk. The TA fits Bakkt and ETF launch so good that i cant even tell whats real anymore. If that all is manifactured, it was well made and well prepared. Just so you know, if ETH ever gets to 10$, i will have sold all my belongings beforehand, and so will others. No way i would let such a chance slide. Could you make an estimation date on those prices? Edit: Also, as always, thanks for your predictions and contribution. Yeah, Bakkt's delay was pretty interesting. I'm usually not big on "Whales / Wall Street are manipulating the market! !1" theories but this one feels a bit weird. Even if Ver, Bitmain, and CSW sold a ton of BTC to fund their dumb hash war (What's the point of it anyway, now that ABC has implemented checkpoints and nobody takes neither ABC nor SV seriously? ), the drop looks pretty convenient for Bakkt's launch. Guess we'll find out in January. Isn't there going to be quite an influx of cash due to the U.S. Tax reforms come January? If it hits $10, which is a low probability anyway, I expect it would only be for an extremely short time. 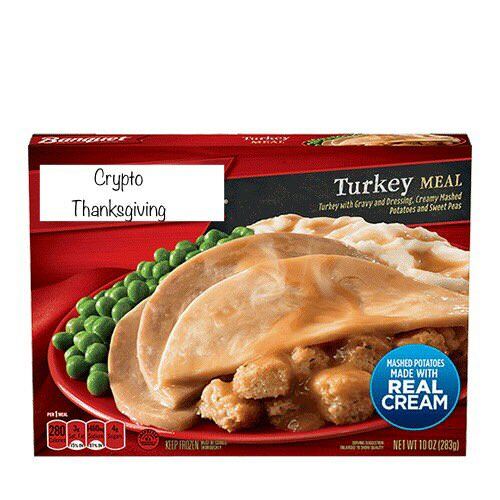 A few early ETH investors could just buy the entire supply at that price now. Sideways in the $40-60 range is more likely I think. It would make a good narrative for Bakkt to swoop in and save crypto, so I am not discounting that everything is being pushed down as much as possible leading to the launch, and then we have the reverse of when futures were introduced at the end of 2017. In that case, futures were blamed for crashing Bitcoin. Now Bakkt's Bitcoin-settled futures could be used to justify a recovery (whether long or short term). Not saying this definitely happens, but it's a possibility to watch out for. I'm not suggesting that anyone associated with Bakkt would be causing the crash, only that the timing is known and can be used by some people with big pockets to build momentum and profit. The crypto community needs to wake up and smell reality. Any time crypto goes down it's manipulation but the parabolic rise upward was just natural growth. The precious metals people had the exact same attitude after the gold/silver bubble popped a few years ago. You had moron talking heads like Peter Schiff saying that gold was going to $5k or whatever, and now you have moron talking heads like Tom Lee saying that bitcoin will go to $15k by the end of the year. I personally am more interested in what Fidelity is doing vs. what Bakkt is doing. At this point tho, Crypto going up, down or sideways is anyone's guess since we've chewed through the new investors, old school folks are sticking around knowing the bounce is eventually going to happen, new money coming from somewhere? (Tether?) and of course institutional investors---- but again, we've been fed these lies before so it's a coin toss. The only way to survive 'Fury Road' so to speak is to invest what you don't care to lose and be happy with it gone for a year or more. I know if Bitcoin itself continues its downward trend I'm going to pick up a dozen or so Bitcoins for the future. Interesting space we're in now. The thing is just, what more do you want to develop around Gold? Exactly, nothing. There‘s nearly everything there that you can do with it, also from an investment perspective. Bitcoin is by far not there, a lot left to introduce to this space. If you think this is the end, no. But yes, it will go down more and i look forward to it. That‘s the time that seperates the people that are willing to invest when all hope is gone with people that only saw a rise after rise and judge then. Edit: Also, thanks Brandson. I‘m doing this whole TA stuff not that long, but the ultimate bottom might be in the beginning of next year, with a lot sideways and some up and some down the following months (lots of months maybe). I can live with that. Double Edit: https://cash.coin.dance/ Bitcoin SV is ahead again by quite a margin. 22 blocks as of this writing. 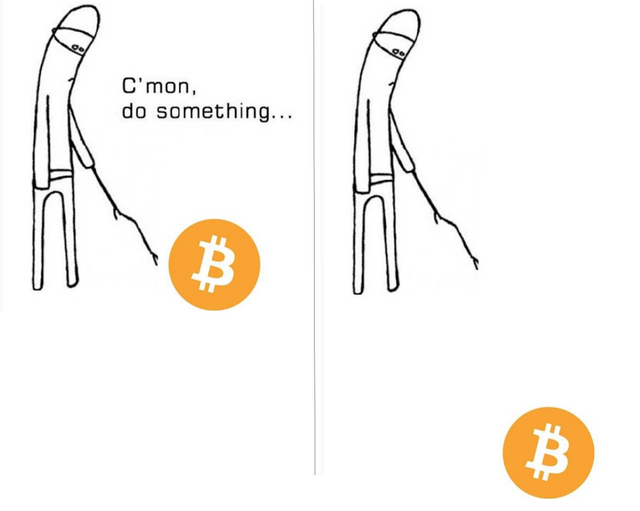 Always when this happens, Bitcoin falls a lot. Because Hash will get linked to BCHABC again to get ahead of SV, meaning that it will be easier again to mine BTC, so sell pressure again a lot higher. Pretty fascinating and makes sense too pricewise that this leads to more and more crashes, as there isn‘t even a bottom for miner right now, aside from really some mining companies needing to sell of BTC to support and finance that „war“. One question here, guys, lets be honest. What do you think about Craig Wright? Do you follow his twitter? Never bet on only one horse is not so false to me personally. Even if he is a faker and probably not Satoshi, he still was around the most important figures in early development of Bitcoin. You can do all the 'ta' you want, changes nothing about crypto having produced no real world large scale use in a decade, and its only real use being speculation and buying drugs . Double Edit: https://cash.coin.dance/ Bitcoin SV is ahead again by quite a margin. 22 blocks as of this writing. Always when this happens, Bitcoin falls a lot. Because Hash will get linked to BCHABC again to get ahead of SV, meaning that it will be easier again to mine BTC, so sell pressure again a lot higher. Difficulty doesn't change that quickly (every 2016 blocks), so lower hash rate just means longer block time until the next change. I thought I heard SV (or ABC or both) adjust difficulty every block. They call it "real time" difficulty adjustment. Ah, I though Ryu was talking about Bitcoin. BCash adjusts differently, yeah. "Hey guys, how our coins doing?" Want to pour in a bit more fiat but my bank has maintenance (online banking) and nothing works -_-. Just wait for the bottom. This aint it yet. People decide what the value of Bitcoin is. Apparently, there is a value, because people buy and sell it. Whether you like it or not, Bitcoin is the most innovative digital currency system out there. It's far from perfect, but it changed the game big time. Whether you like it or not, Bitcoin is the most innovative digital currency system out there. Uhhhhh... not even sure a majority of crypto-enthusiasts are gonna agree with you on this one. BTC has first-mover's advantage and brand power. Should've put that in there. Obviously, there are better ones out there now. That's pretty similar to P2P lending -- breaking up larger loans into tiny chunks -- places like LendingClub just use traditional ledgers instead of a blockchain. In many ways, it's more a regulatory challenge than a technological one. Honestly I think it is for the better. Regulation around a lot of the pillars of financial institutions have either been grossly outdated and/or not efficient to work correctly so coming up with a "Zero Dawn" is not a bad idea imo. If anyone is interested, I've created a basic survey about peoples current crypto experiences in general and on ERA. I'm genuinely interested in the results of where people are at nearly a year after the bubble popped. responded. You going to publish the report after a week or so? Yea, I'll dig through the results as they trickle in, already getting some obvious patterns in terms of responses. Probably should have made this more in-depth with some questions, but we'll see where it's at. People decide what the value of tulips are . Apparently, there is a value, because people buy and sell them. Whether you like it or not, tulips are the most innovative bulb out there. Heads up, I'm going to redesign the poll as I'm getting some more responses than I thought, and I feel there are some better answers/format I can present to get some more interesting data. I'll post it in a bit after some testing. If you answered the previous poll and are still interested, sorry! I'll still take a look at that data, but I'll give more options for some questions and more questions in general in the new one.